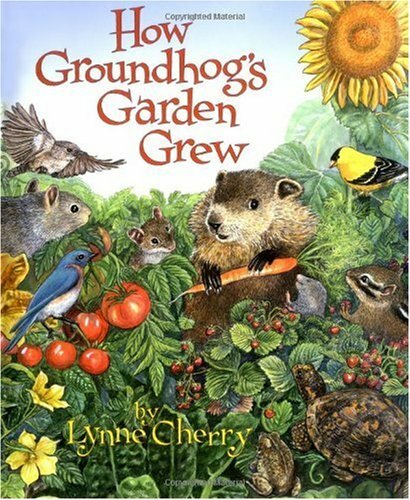 This week the Grade 2 classes will be reading the cute fantasy tale How Groundhog's Garden Grew by Lynne Cherry. The tale tells of how Groundhog, a vegetable thief, is taught how to plant and grow a garden by his neighbor, Squirrel. During the process, we the reader learn all about how to plant and care for a garden. In the end, Groundhog has a lush garden full of food that he shares with everyone as a way to say thanks for letting him "have" their crops. Below are the spelling and vocabulary words for this week. Please help your child to study and review the words before our test on Friday. Our grammar focus this week will be irregular verbs. Conjugating irregular verbs is very difficult for English language learners. Please help your child practice. We will also continue writing our replies to letters from our pen pals in Canada this week.